The Amalfi Teak Ottoman from the Amalfi Collection is the essential accessory because of it’s immense versatility and wonderful ability to enhance all the other comfortable parts of the collection. 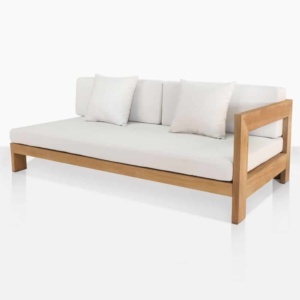 For instance, this teak ottoman can be paired with an L-shaped sectional (the Right Daybed, Left Daybed and Corner piece) so the footrest is accessible from any vantage point, offering the flexibility to find a perfect place to unwind. 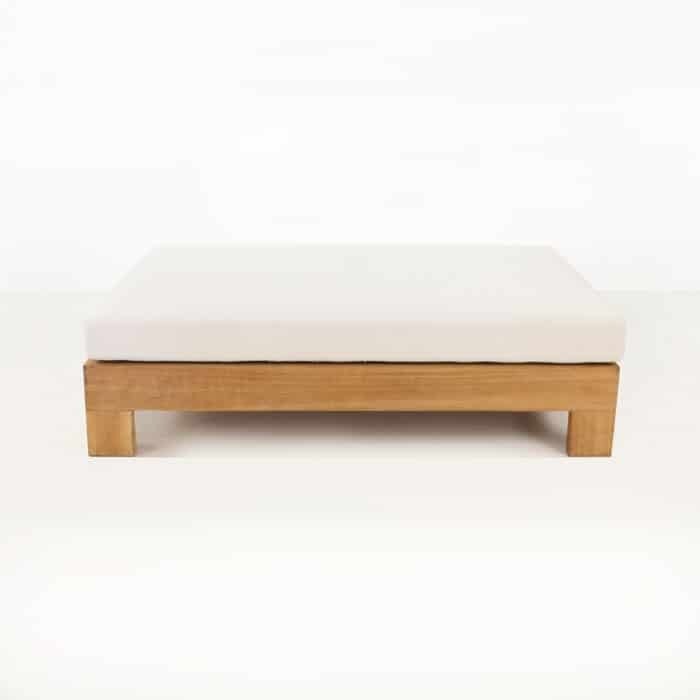 “Unwinding” is a good term to describe the type of activity that the Amalfi collection and the inclusion of this teak ottoman were designed for. 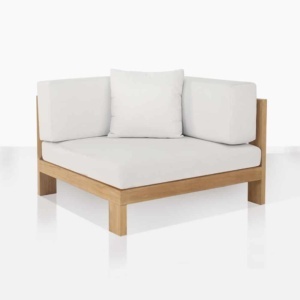 The cool contemporary but very comfortable feel of the collection make such relaxation activities a priority. 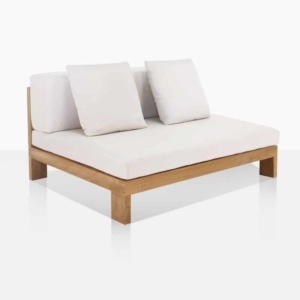 Certain pieces of furniture denote or drop hints at the types of functions one can expect from them. This collection definitely offers users a feeling of relaxation; an unrestricted feel; and yet, very slim, clean and sophisticated looks. 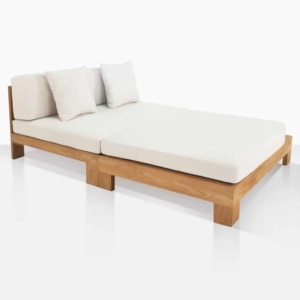 It’s no wonder, perhaps, that this is among the best selling pieces in the entire selection from Design Warehouse. It’s this wonderful mix of benefits that the Amalfi collection exhibits that makes it so easy to love, surely. 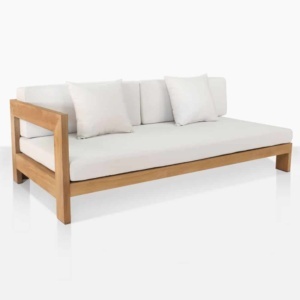 When you see the Amalfi Collection, you notice the build quality and simple, clean, flowing good looks. 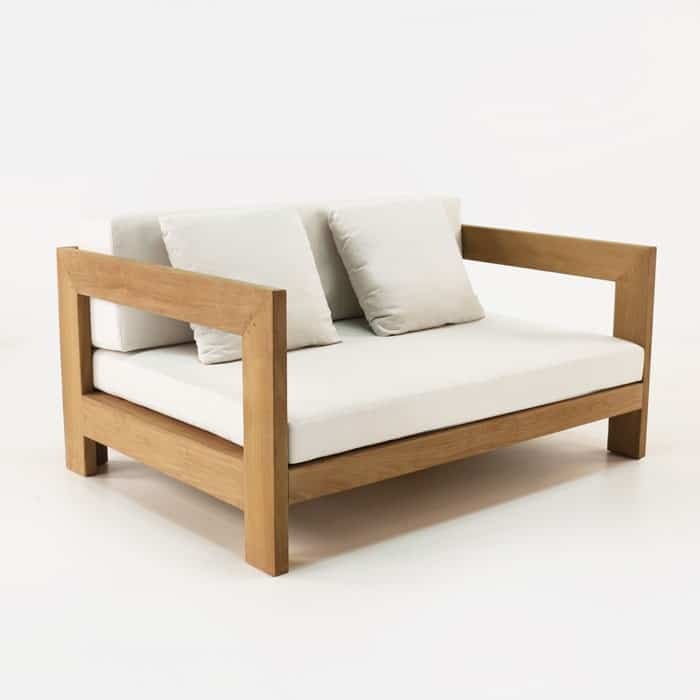 But it is more at the moment you sit down on the Amalfi seating pieces and put your feet on the large teak ottoman that you realize this might just be the perfect set for what you want to do. 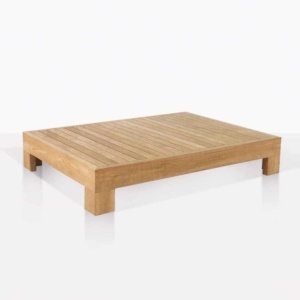 The versatility of this teak ottoman is apparent the first time your dog lays down on it, or you kids sit there to get a cold drink and take a quick rest from playtime. The relaxation is apparent the moment you fully relax and get your feet propped up on it with an iced tea or a lemonade. 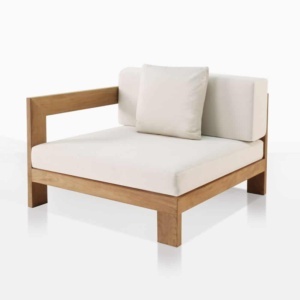 A Sunbrella® Cushion for the top offers a certain coziness to the piece and helps transform it into the perfect low seating surface. 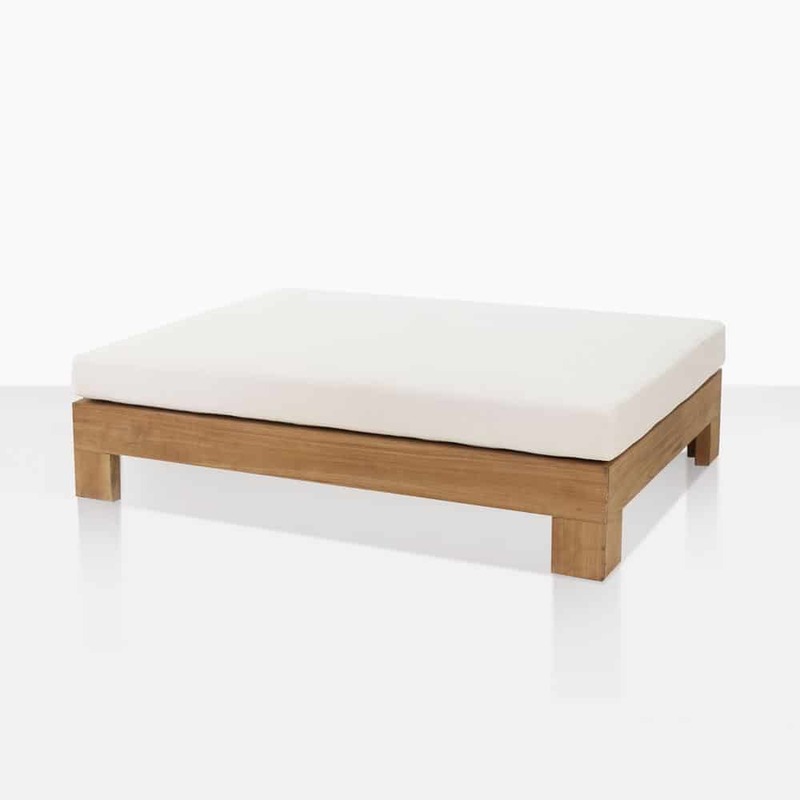 The cushion is included free of charge with this outdoor teak ottoman.